Your approach shot looked perfect as it left the club; high, soft, and right at the pin. However, thanks to a little gust of wind, the ball came up just short and in the bunker. That beautiful, high trajectory and spin made the ball dig a small crater in the bunker, coming to rest right in the middle. This is the dreaded fried egg lie. 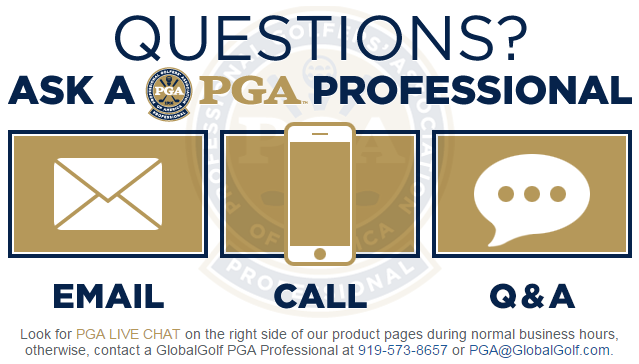 While it may seem like a hard task, these tips will help you get safely on the green. 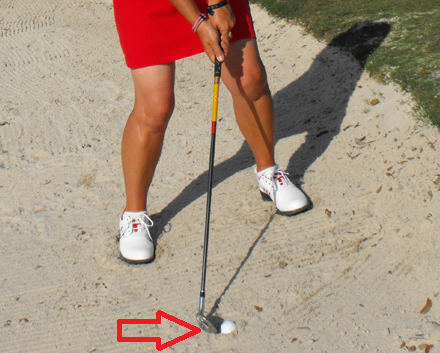 A safe recovery from a fried egg lie depends on how deep the ball is and the condition of the sand. Let’s take a look at each situation to see how you can flip the script on this lie. At address, open your stance and the clubface slightly. You don’t want to open it too much, as opening the face increases the bounce on the club. Having too much bounce can cause the club to “bounce” into the ball, resulting in a thin shot. You want the club to dig through the sand to get down to the ball. With your swing, you want to be very steep, almost feeling like you are swing the club straight up and down into the sand. The goal here is to dig the club into the sand behind the ball and “splash” the sand out. Because the club is approaching at a steep angle, you will need to apply more force than normal. Focus on moving the club through the sand and past where the ball is. Don’t try to lift the ball out of the sand. Make sure you move the sand out of the bunker onto the green. The ball will ride the sand onto the green. When the sand is wet or heavy and the ball is buried deeply, the opposite approach often is the best option. Instead of opening the club and your stance, close everything. Align your feet to the left (for right-handed golfers) and close the club face. For reference, the toe should be pointing almost directly at the ball. This setup can look and feel strange. You may need to put in a bit of practice to get comfortable with it. The sharp toe of the club leads into the sand, allowing the club to dig in quickly and easily. By swinging along your feet with the closed stance, the leading toe will dig easily into the heavy sand. Therefore, you don’t need to swing as steep as when conditions are soft and dry. Note that the closed club face launches the ball left of your target, so adjust your aim right. The most important thing to understand when faced with these situations is that the ball will come out will no spin. Simply getting out of the bunker should be considered a victory. Expecting to hit the ball close to the pin or have any degree of control will lead to frequent problems. 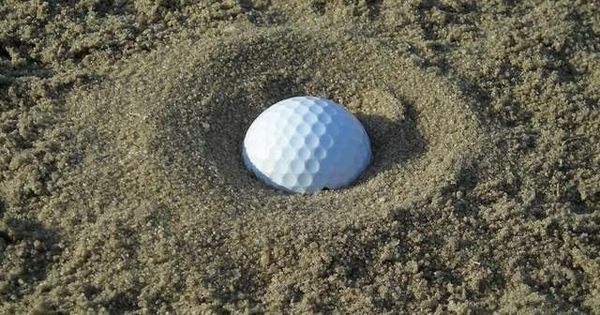 With a bit of practice, you can become comfortable with the ability to get the ball out of the bunker when faced with the dreaded “Fried Egg” lie.